« FREE Photos that look really good – A true money saver! So much going on today. 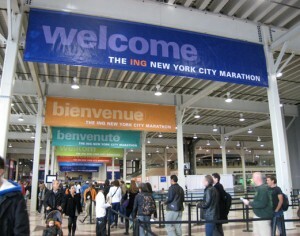 Today is the New York City Marathon. I like to wake up and watch the news coverage as people prepare to take off, fulfill their dreams and test their bodies. I’ve never done a marathon before, but have many friends that have. Some do it for money, some do it for the love of the sport and some do it to for the sense of achievement it gives. Kinda like why we decide to go into business right? I also like this day because I got an extra hour of sleep. It’s the one day of the year where I actually can say “I just need one more hour” and it actually be possible! It’s like magic! I’m gearing up and preparing for events in and around the city next week for Global Entrepreneurship week. This year I’ve been asked to appear on a panel of experts including one of the founders of the award winning software Animoto. I’ve been told the event will be recorded, and I hope to share it with you in a few weeks. In the meantime, I’ll also be attending some other events and possibly exhibiting at one. The first time I planned an event, which was just last year, I was terrified. Since then I’ve come to be quite comfortable with them and have a few core things I put in place so that I don’t get nervous. I’m sharing that with you in today’s newsletter.